There's one way to know for sure whether you're on a luxury cruise or not. After ordering a beer, a glass of wine, a cocktail, or even a specialty coffee, does someone slide you the bill to sign? 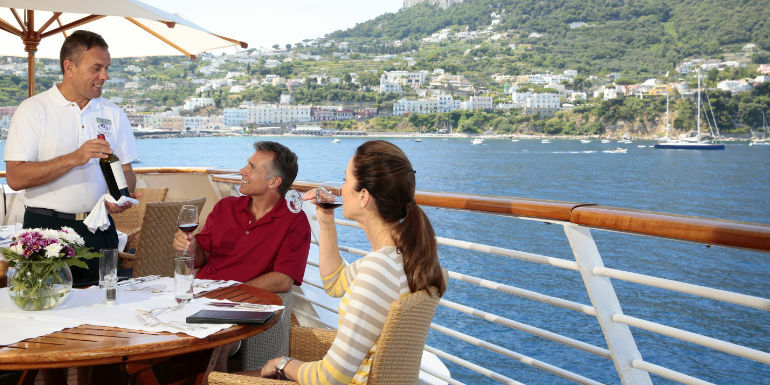 If yes, you're probably not on a luxury cruise. The all-inclusive nature of luxury cruising is but one of the many attributes that differentiate this style of cruising from others. Yes, you'll dole out more upfront, but if you do the math, and you may find that you're getting more in return than you would on a "normal" cruise. Luxury cruise companies tout the value of what they offer, and they offer quite a lot. I've been on several dozen luxury cruises. Most recently I cruised on Crystal Serenity, the largest ship in the segment. 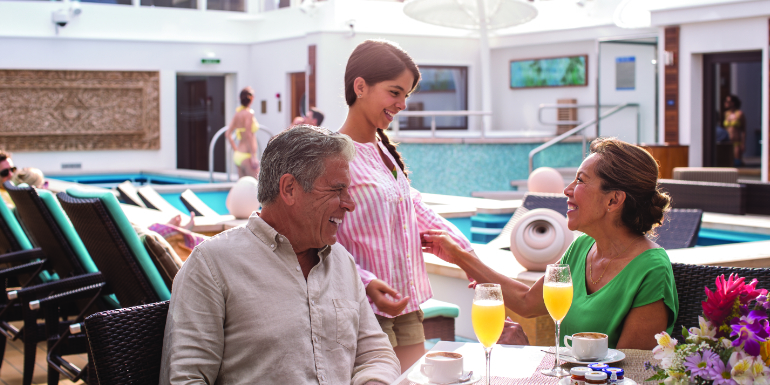 Crystal Cruises is known for personalized attention and exotic itineraries, with Serenity offering all of the trappings of a 5-star resort (multiple dining venues, a spa, fitness center, movie theater) and, despite its hefty 1,000-passenger count, a remarkably high standard of service. Crystal Cruises' hallmark of big ship amenities and activities executed in a luxury yacht manner is why onboard classes feel intimate and selective, and shore excursions (like touring Florence in a Ferrari) make for once-in-a-lifetime experiences. On one evening of my cruise, I passed by the atrium bar when the concierge, who just happened to be walking by, stopped me. Where was I going in such a hurry? he asked. To buy a necktie at one of the shops, I answered, explaining that I had forgotten to pack a tie. "No you're not," he said. "You're going to sit down and have a drink while I go to my stateroom to get you a tie." A few minutes later, he returned with a tie that he draped around my neck and formed into a Windsor knot. How could you anticipate something like that? 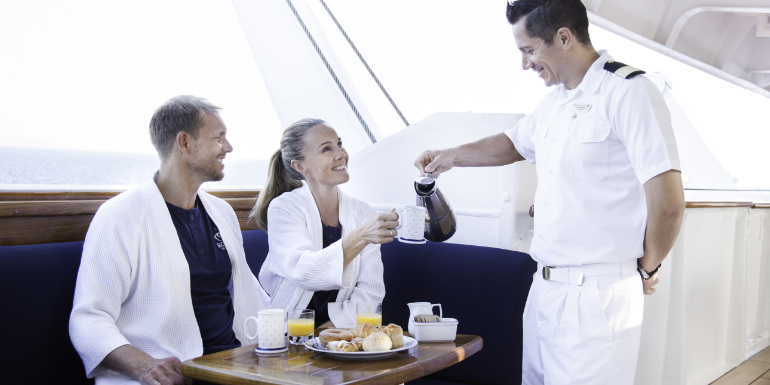 You can't, but it's the type of service you can expect on a luxury cruise. Luxury cruise ships have a higher staff-to-guest ratio, with some ships having as many as one staff member per guest. Similarly, the space-to-passenger ratio on these ships is typically greater than on large cruise lines. Comfort also means that when disembarking the ship for the day, you'll find tenders that run more frequently (on a per-passenger basis) and motor coaches that carry fewer passengers (not great for the environment, perhaps, but good for comfort) than on large ships. Not having to sign a check for beverages is perhaps the most liberating aspect of luxury cruising. Drink champagne before a meal, have wine with dinner, and splurge on an after-dinner cocktail – without giving a second thought as to how much consuming these will add to your final bill. Even gratuities are included. Onboard amenities such as spa treatments and laundry service do come at a premium, as do shore excursions on a number of cruise lines. Regent Seven Seas Cruises, which prides itself on being the most inclusive luxury line, provides unlimited shore excursions (think train rides in Australia and a wildlife quest in Alaska). As the choices for excursions indicate, luxury cruises tend to venture off the beaten path. Seabourn Cruise Line, for instance, with their retractable onboard marinas, whisks passengers deep into the Antarctic, through Patagonia, and around the Mediterranean. If you try to find the same itinerary on a larger line like Royal Caribbean, you'll find they only venture to Buenos Aires or Rio de Janeiro. Smaller ships often visit ports that the big ships can't reach — you'll never see a Carinval ship docking in the city center of Bordeaux or in front of the Royal Palace in Stockholm. 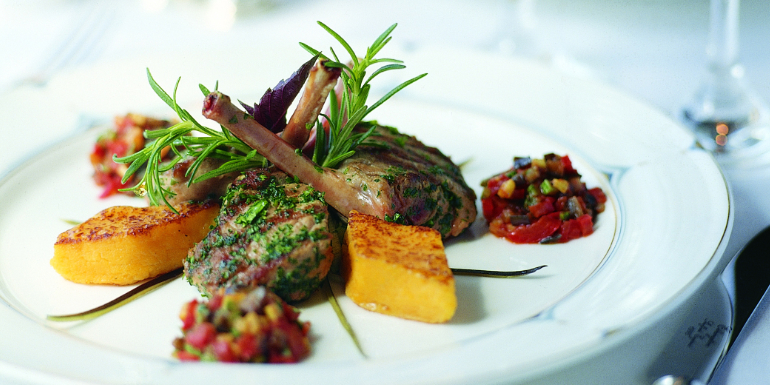 A gourmet meal won't be the highlight of your cruise, it will be the standard. It's not too much of a stretch to say that some of these dishes alone would cost you pretty close to what you're paying for the cruise on a per-diem basis. One evening aboard Crystal Serenity I dined at Silk Road, where I enjoyed a series of special dishes by Nobu Matsuhisa. Dinner at his eponymous restaurant on land, Nobu, could easily set me back a few hundred dollars. The additional cost of this delicious dining experience? Zilch. Yet Crystal Cruises is not the only player to offer exceptional dining experiences. Silversea Cruises, which operates a fleet of six small ships and four expedition vessels, partnered with French hospitality chain Relais & Châteaux, to bring guests cuisine on par with its 500-plus locations around the world. Guests may dine at Le Champagne, the organization's only wine restaurant at sea, or partake in cooking school at L'Ecole des Chefs; an innovative culinary experience created by Relais & Châteaux. If all of this sounds appetizing, but a full-fledged luxury cruise isn't in the cards, several large ships offer a taste of luxury via the increasingly popular "ship within a ship" concept. The Haven on Norwegian Cruise Line and the MSC Yacht Club on MSC Cruises are separate areas within the ship that offer luxurious amenities like private dining rooms, wine with meals, round the clock butler service, and priority access to common areas like the spa and fitness center. It's essentially a luxury experience with the added bonus of all the amenities that only big ships have to offer, like Broadway-caliber entertainment and huge water slides. Do you prefer to cruise on luxury lines? Or do you find mainstream ships suit your needs?